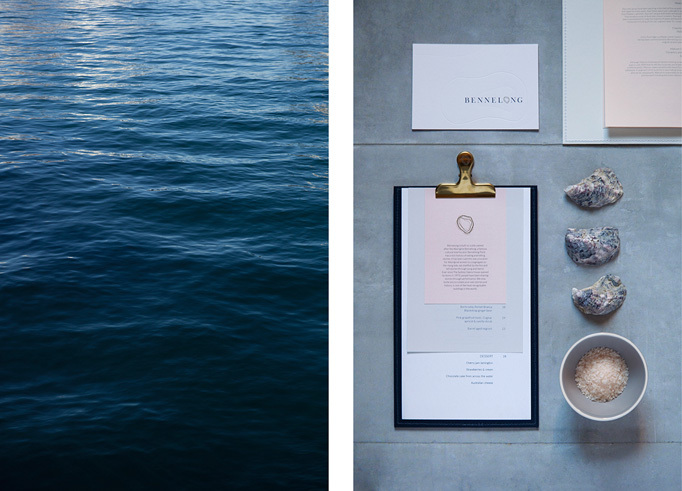 Designed by Saatchi & Saatchi Sydney. 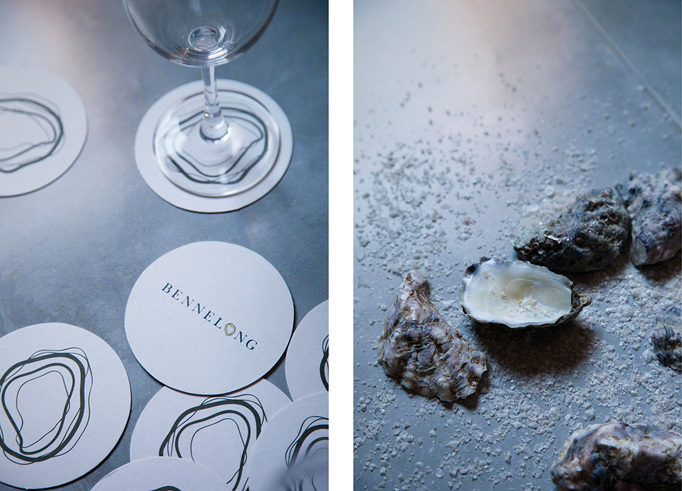 Nestled among multiple floors of the Sydney Opera House and home to one of Australia’s most celebrated chefs, Bennelong is one of the city’s classiest joints. 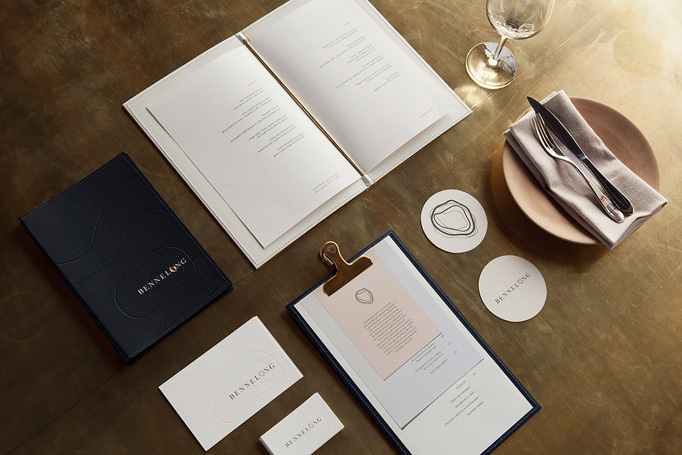 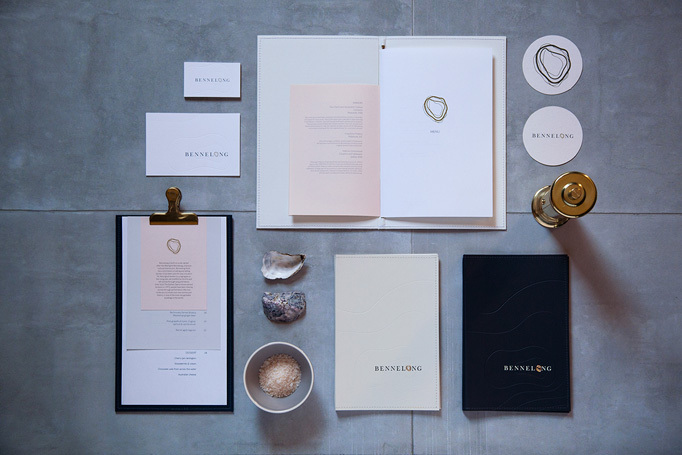 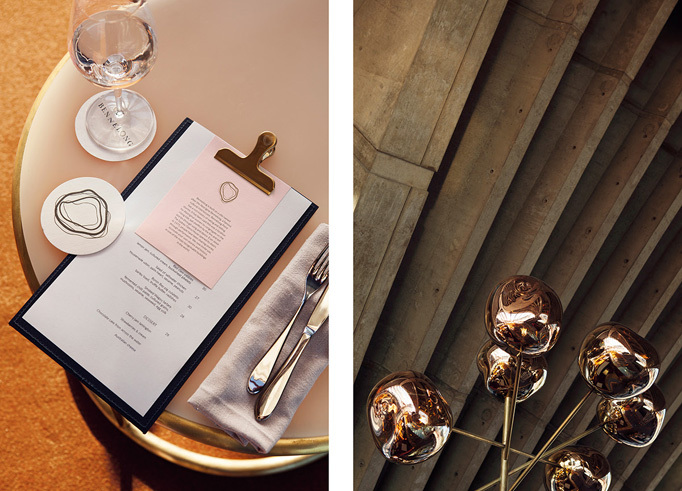 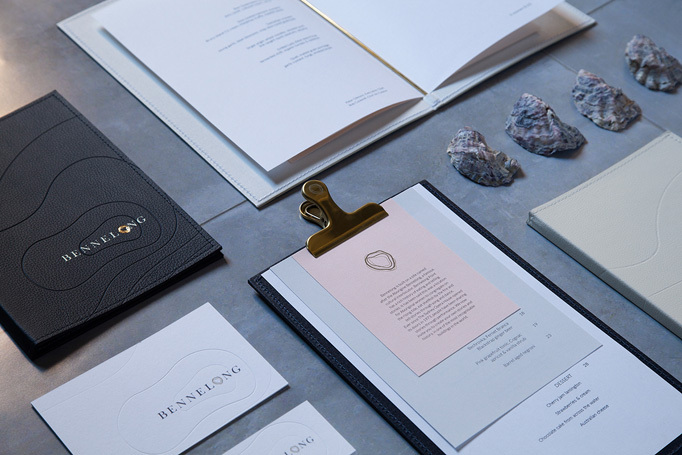 Restrained, muted, and mostly typographic, Saatchi & Saatchi Sydney’s shellfish inspired branding and accompanying menus ooze sophistication and taste.